ACRI-BOND range of UV curable adhesives represent a new dimension in light curing technology. The UV adhesives are solvent free, containing only reactive components. A highly cross-linked polymeric matrix results on curing without evaporation or the elimination of volatiles. All UV adhesives are 100% reactive systems and were developed to sharpen and maintain the end-user's competitive edge through cost effective parts processing. One part adhesives that cure using ultraviolet light provide an extremely convenient method of curing on demand, unlike two part adhesives that need to be mixed and used within a certain time frame. Not only is this more convenient for the user, it also eliminates many potential sources of process variability. 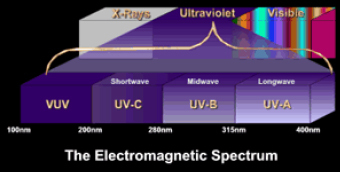 Ultraviolet light is a particular portion of the light spectrum, typically considered to be in the wavelength range from 200 nm (nanometers) to 400 nm. The most significant property of UV light is its intensity. The intensity of light, which can be measured by a radiometer, is designated by milli-watts per square centimeter (mW/cm²) or Watts per square centimeter (w/cm2). The key to UV curing is matching the wavelength range of the spectrum to a photo-initiator in an adhesive. Every high performance adhesive has at least two components to it. An obvious example is the two-part, room temperature curing material already mentioned. A less obvious example would be contact cement, where only a single material is handled. For this kind of adhesive to work, a solvent must evaporate from the product, leaving the actual bonding resin behind. So, the resin is one part and the solvent is the second part. In an ultraviolet-curing adhesive, there are also two components. One part is the adhesive itself and the second part is the photo-initiator which will not react with the resin by itself. The photo-initiator must absorb the ultraviolet light before curing takes place. When the UV light is delivered, the photo-initiator will undergo a chemical reaction and cause the adhesive to harden.